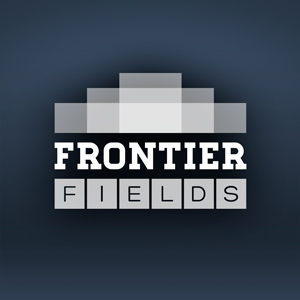 Galaxy cluster Abell 2744, the first of the Frontier Fields to be imaged. Take a long look at this image. 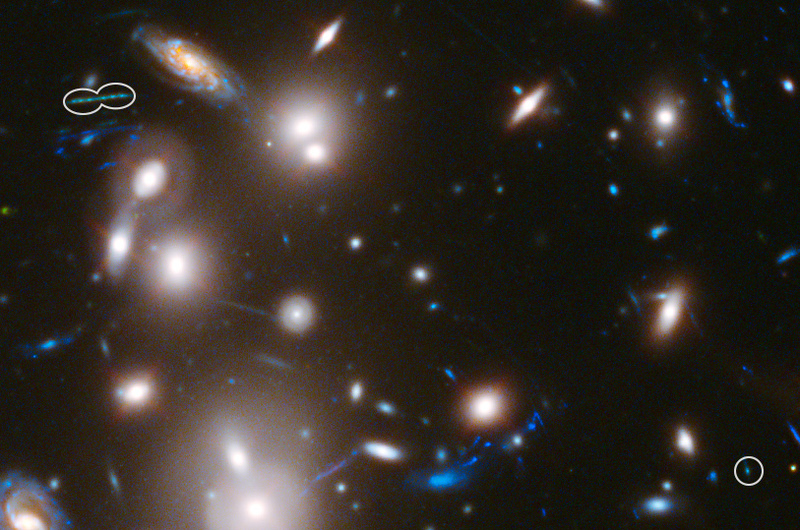 You’re seeing a lot of distant galaxies magnified by the natural “gravitational lens” of galaxy cluster Abell 2744. But you aren’t seeing as many as you think. 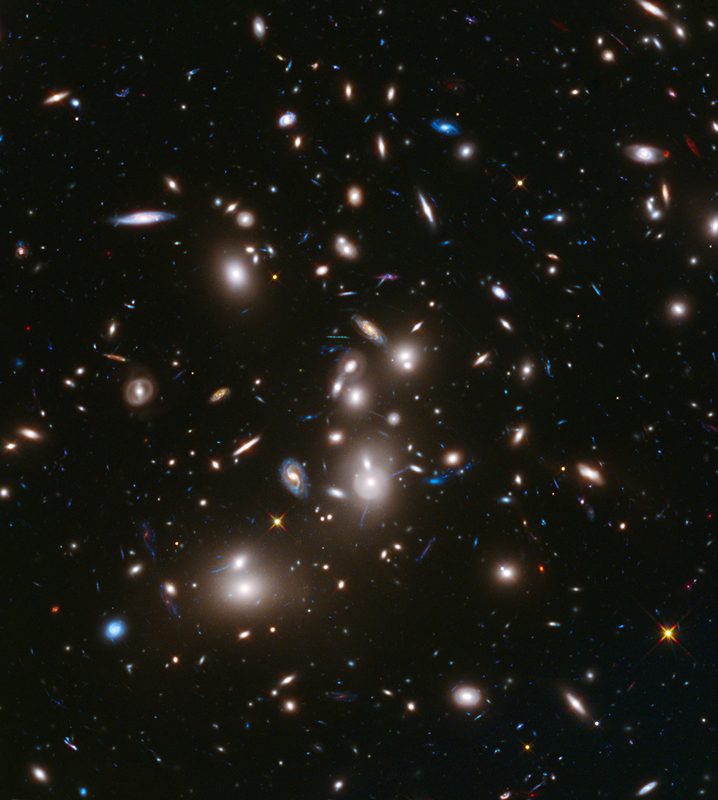 Gravitational lenses, natural magnifiers created in space when light is bent by the enormous mass of galaxy clusters, distort and enlarge the images of distant galaxies behind the cluster. But they do more than that: sometimes they replicate them, like multiple images in a funhouse mirror. 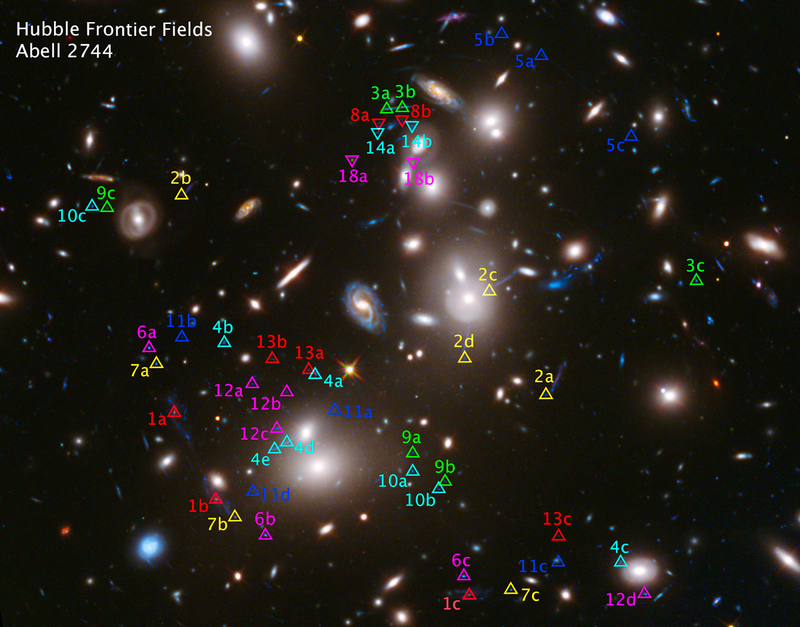 Galaxy cluster Abell 2744, with multiple images of individual galaxies marked. 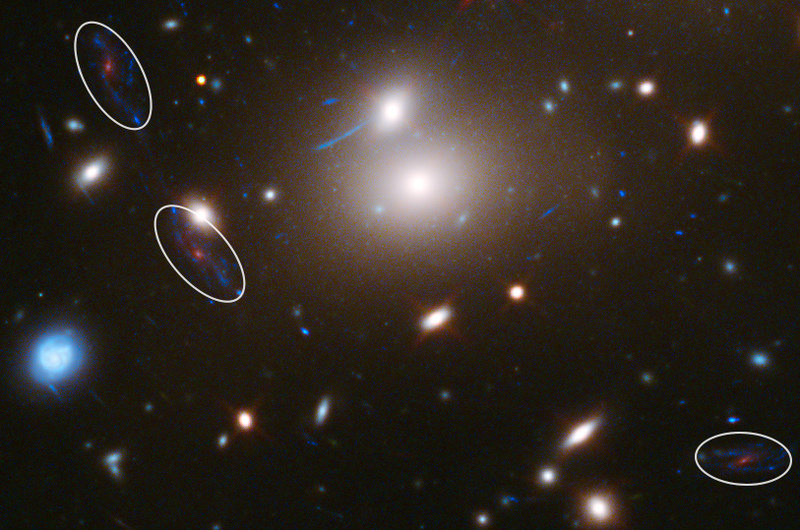 These multiple images are produced by the cluster’s gravitational lens. Sometimes, the level of distortion sends the light to multiple places. If you’ve ever seen a single candle reflected multiple times in the bottom of a wineglass, you’ve seen this distorting effect occur in lenses. In fact, gravitational lensing is so similar to glass lensing that you could replicate the distortions of a gravitational lens by grinding a glass lens to the same proportions and bumps. And cosmic lenses are quite lumpy. The galaxies of the cluster, embedded in halos of dark matter, create bumps of mass. Light can take multiple paths around the galaxy cluster as it encounters the distortions in space-time created by the cluster’s mass. The closer the light of more-distant galaxies passes to the lens, the stronger the deflection. If the light passes close enough to the lens, these multiple images are likely to appear. The individual galaxies in the cluster also add small deflections, and occasionally help produce multiple paths for the light to reach us. When astronomers look at a lensed image, they’re looking at a giant puzzle. They need to figure out where all the mass is in the image – most of it, being dark matter, is invisible. Pinpointing the multiple images of identical galaxies helps accomplish this because they’re a good indicator of how dramatically the light is being deflected. Some of the multiple images are obvious. Galaxy images 1a, 1b and 1c (left image) are good examples – they’re blue galaxies with red centers, and they look very like one another. The green-hued galaxy identified by 3a, 3b and 3c (right image) is another good example. Astronomers seek out those obvious candidates to start with, then try to build a model of how the mass in the cluster is distributed. Based on that model, they start identifying the multiple images that aren’t so obvious: Does this reddish galaxy to the side have a counterpart where the model says it should be? Analysis of attributes like color, and especially distance, also play an important role in determining which galaxies are multiples — a technique that comes in handy in many situations. Thanks to reader Judy Schmidt for the idea for this post. Interessante articolo scientifico sulle lenti gravitazionali indotte dagli ammassi di galassie distanti. Oh cool, I got kudos at the end! You didn’t have to. Thanks! I really enjoyed this. Certainly. We would appreciate credit and a link to the original material. Enjoy! If the light has followed different paths, would that not mean that you’re actually seeing the same galaxy at multiple points in its past? With an even more powerful telescope, could you find and observe the evolution of particular star-forming regions, or address density wave theory in a spiral arm galaxy?